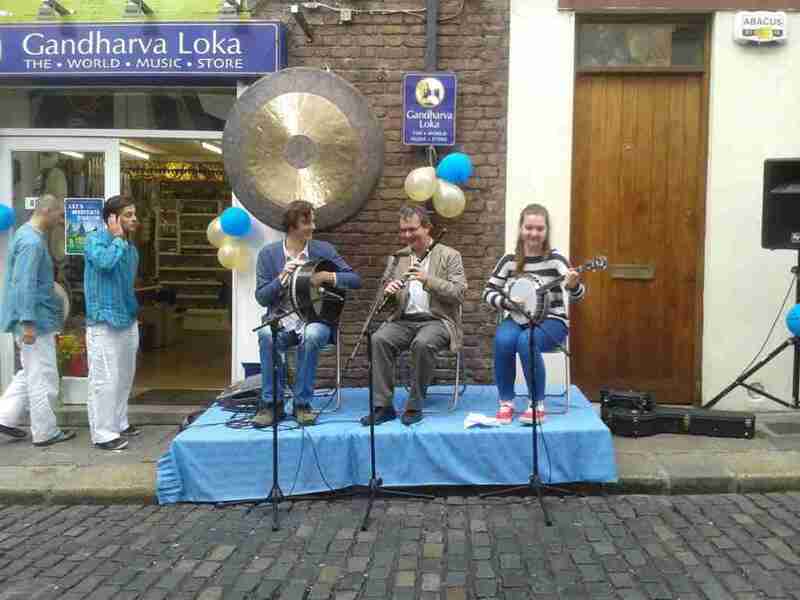 The official opening of Gandharva Loka took place at its store in Temple Bar, Dublin on Sunday. I was delighted to be asked to play a few tunes with Martin Gaffney on flute and his daughter on banjo. It was a lovely event showcasing some of the wonderful instruments found within the shop, an African Kora, the Japanese Shakahachi and the Indian tablas. Well done to Sadanand and his colleagues.